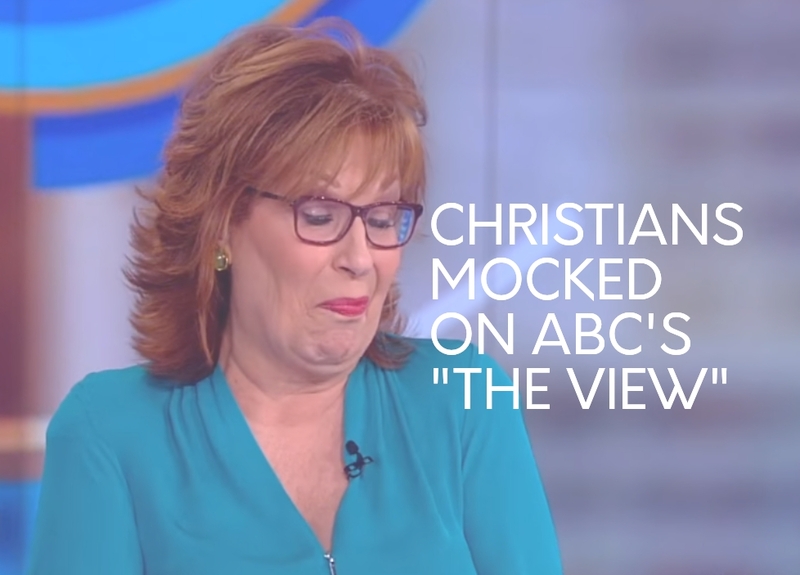 ABC has refused to require The View to terminate Joy Behar as she insulted Vice President Mike Pence’s Christian views. Joy Behar, co-host of the “View” refers to herself repeatedly as a “comedian”. It seems she tends to use the term as a mask and a scapegoat any time she gets called out for making offensive comments. Her demeanor is anything but that of a comedian, but rather she is antagonistic, arrogant, sarcastic, and frankly, not funny. She also very easily changes masks in defining what she is, insults others beliefs, and commonly uses her alleged position as a “comic” as a cover-up. In February 2018, The View’s Joy Behar referred to those who claim to hear Jesus’ voice as mentally ill. Meghan McCain, a co-host on the panel, attempted to speak up for Christians who are attacked by Liberals, and was quickly stifled by show moderator and far leftist, Whoopi Goldberg. 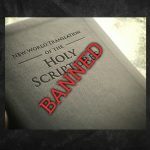 The panel was thereafter forced to address the despicable comment on stage when backlash came in defense of Christianity and United States Vice President Mike Pence, who was the target of the insults. In defense of herself, Behar claimed she herself IS a “Christian”. However, a YouTube video surfaced showing the self proclaimed comic being interviewed by a Catholic Priest. Admits to not believing in or reading the bible. Doesn’t know if there is a God. Admits she does not pray. Claims she is sustained not by God, but by her brain and her life. Does not believe there’s in heaven. Says she has seen no proof of God. Admits “I don’t believe that there’s a higher power that created human beings”. Says she “cannot understand why so many people don’t believe in evolution”. In other words, Joy Behar is not an agnostic. 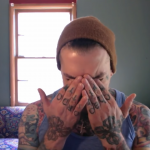 She is an atheist, hiding behind the Agnostic front, claiming publicly to be a Christian. If she so easily can mock one who says they follow the voice of Jesus, and do so on national television, it is no secret that her stance is undeniably Atheist. Behar and most other false “Christians” claim that because they were married in a Catholic church or baptized their children, it is enough to have been affiliated with Catholicism, and thereby retain the title as “a Christian”. In Behar’s case, there is enough evidence indicating that she is the true portrait of a false Christian. In the 2011 interview with Behar, the Priest did not stand up for Christ. 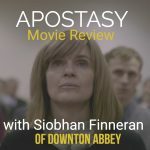 Rather, he laughed off her arguments, and in what appears to be an attempt to be non-combative, stated that he likes people who question faith. He further defines theology as “faith seeking understanding”, after he admitted that Catholics do not read the bible. Mike Pence responded to remarks and defended Christians . John 10:27-28 My sheep hear my voice, and I know them, and they follow me: 28 And I give unto them eternal life; and they shall never perish, neither shall any man pluck them out of my hand. Only those who belong to Christ can “hear”, or understand, the teachings of Jesus. This does not mean one hears literal voices in their head. When Jesus was asked why He spoke in parables, He made known that the knowledge would only be given to those that follow Him. Matt 13:11 And he answered them, “To you it has been given to know the secrets of the kingdom of heaven, but to them it has not been given. 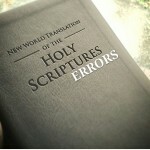 The Holy Spirit can work through the conscience, the heart, and through scriptures in the Holy Bible. If one is truly a follower of Christ, they will “hear” the voice of Jesus, speak boldly with pride in their salvation in Him, and be without worry of persecution for their faith. The ABC Facebook page has been inundated with backlash from furious defenders of Christianity. Many are requesting to know who the show’s sponsors are, as they plan to ban companies who support the network. Posts flood the page demanding the show to be removed off the air, after blatant disrespect against Christians. Christians are pulling together to stand together in the face of repeated persecution which is now considered “normal” in American media and society.